In the first photos Payalaw posted, the dog looks exhausted — "especially on his eyes" — and despondent. Workers provided him with water and pieces of meat on the deck of the rig, and they set up a kennel for him indoors. They named him Boonrod, Payalaw added, a word that means "he has done good karma and that helps him to survive." 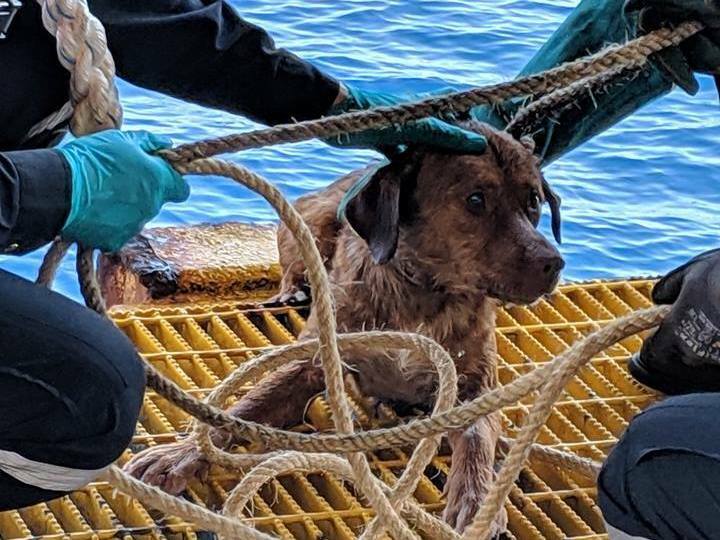 It's not clear how the dog ended up so many miles offshore. Payalaw declined to speculate, simply saying it is still a mystery. 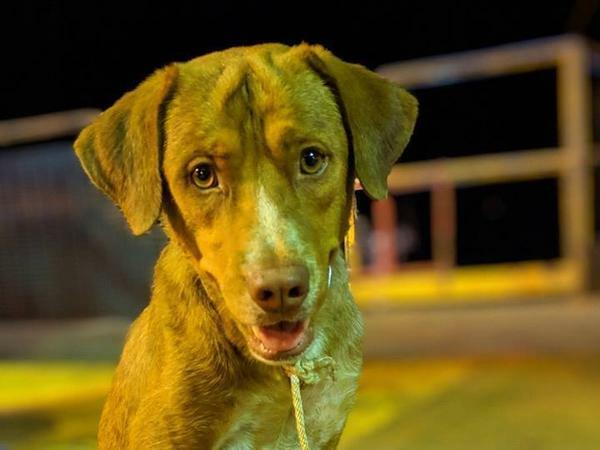 The Bangkok Post said the pup is "believed to have fallen from a fishing trawler." 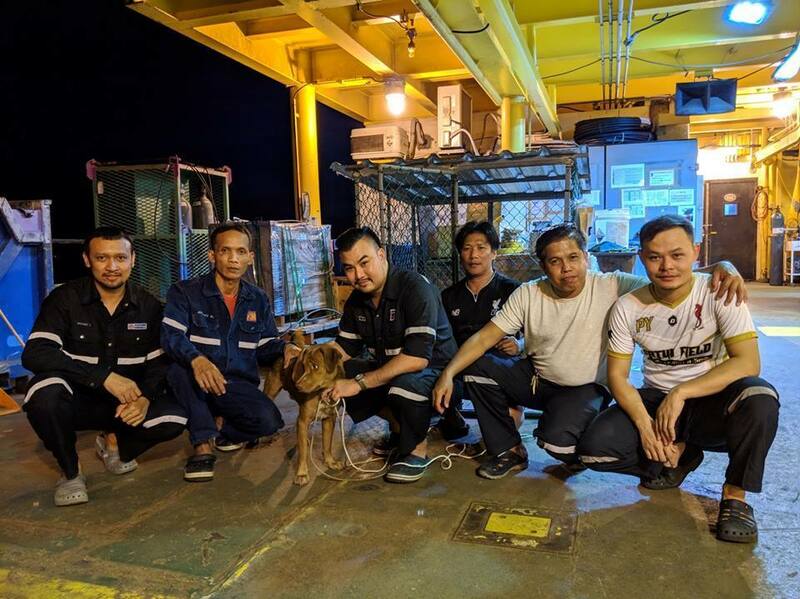 The pup has now been transferred to land, arriving in Thailand's Songkhla province on Monday morning to receive veterinary care coordinated by the rescue group Watchdog Thailand. According to The Associated Press, the group has declared him "in good shape." Boonrod's streak of good luck seems set to continue. Payalaw says he's going to be working on the rig until the end of April, but when he gets back to shore, he plans to adopt the dog.